The wonderful thing about doing something for a really long time is the people you meet and the relationships you get to build. We share some of what they have to say about us. “Pilates is a wonderful exercise regimen for strengthening the core muscles. I discovered Pilates and the Zone Studio by chance in 2009, while trying to gather information about coping with back pain which was plaguing me. Since then I have been doing Pilates at The Zone Studio with Anjali Sareen. Hello, this is Richi. Just saw my physiotherapist today and I am so so happy that my gap in the stomach has reduced. Can’t believe how 7 sessions have made such a huge difference. Thank you so much. “I have never liked the gym. When my friend Neelesh recommended Zone about 2 years back, I was skeptical. It was a welcome change from my earlier gym experiences. The staff is simple, courteous, knowledgeable and dedicated. 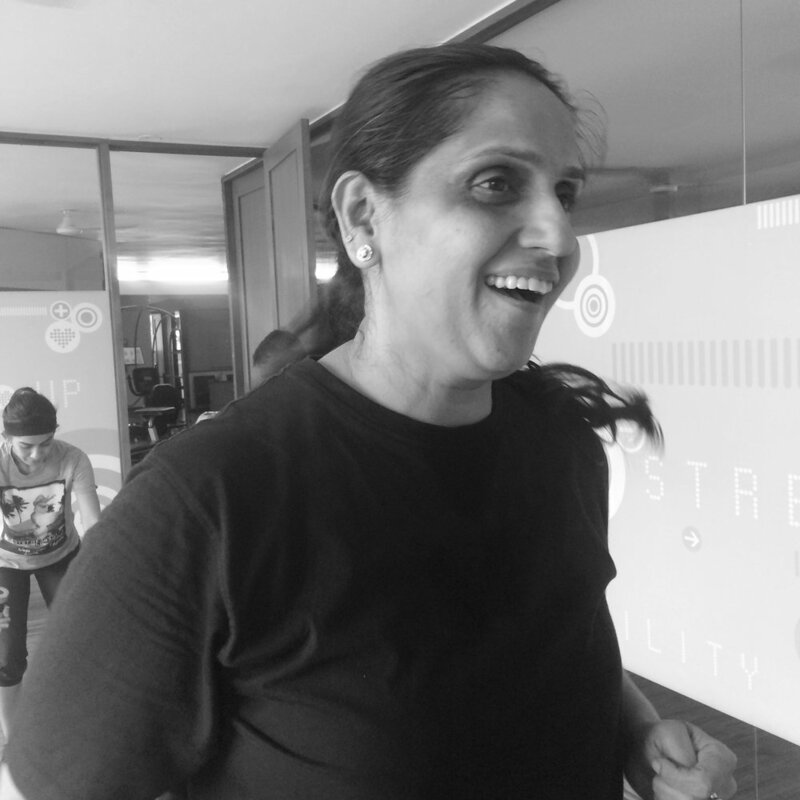 “I’ve been with Anjali and her team at the Zone Studio for over 4 years....Just started a year before I had my baby....and god knows it was the best decision ever! Pilates is completely injury free....So I was able to have a sustained workout rather than the injury breaks several gyms bring with them. “To join or not join was a question that was plaguing my mind every time I walked past Zone Studio. Well the answer came soon enough :) when I could not fit into my clothes. The attention to detail by Anjali and her dedication to the practice of Pilates is something you will not find in many other studios. Her commitment to the Zone's reputation as a top notch Pilates studio shines throughout her teaching. “I joined Zone Studio exactly a year ago. I was suffering from muscle pain, body aches and difficulty walking after an attack of viral arthritis. I had tried all kinds of treatment for body pain but had found very little relief. My niece who had attended Pilates classes, suggested I give it a try. So, I found Zone Pilates online and met Anjali Sareen. Initially, I was very sceptical about this but she patiently, made me understand how Pilates can help strengthen core muscles which in turn will reduce the body pain. Now my body pain has reduced tremendously and I feel rejuvenated. I look forward to my Pilates classes now. Anjali is very motivating, a chat with her increases my confidence every time. My instructor Kiran is always encouraging and pushes me to achieve more. Thanks to him, my stamina has increased and I feel healthier. I am so glad I joined Zone Studio. All I want to say is it is worth every penny you pay and more. Just give it a try and you will experience the magic! “I have been through my share of gyms, personal trainers and the horror of waking up early in the morning and realising that you have 45 minutes of brainless, often painful and usually intense muscle workout ahead of you. The problem at least for me was that all these exercise regimens did not engage me mentally. After a good amount of research I decided to try Pilates. “Thanks for all the support Srikantha, and also for making my sessions fun and strict. Thank you so much.” - Pamela. “Pilates has made my daughter stronger and more focused in mind and body. I have noticed better self esteem that comes with improved posture and flexibility. It certainly gives her an advantage while playing a sport as her stamina has increased. .
She always says it’s addictive; once you start it's hard to stop.